With almost 60 events on the tournament schedule and a guaranteed $750 000 in prizes, this event looks set to once again knock player’s socks off. Microgaming is one of the few big software developers that hosts an annual online Poker tournament and it is a welcome feature. The event is called the Universal Championship of Poker as a tongue in cheek reference to the variety of markets that this online tournament melds together thanks to the online capabilities facilitated by Microgaming. With a range of events scheduled for the two week the tournament will be running, buy-ins started from as low as 0.11 at some satellite tournaments. The Main Event buy-in will be 300+30 and features a 5000 jackpot for the player determined and talented enough to fight his o her way to the top. 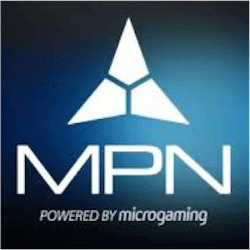 The MPN press release summed up the novelty of this tournament by saying that there are many online and real world players who have been crowned the World Champion, but none can call themselves the Universal Champion. The gaming industry today fully embraces social media and Microgaming has provided extra incentive for players who stream their online gaming in the tournament live. Participants can stream in Facebook, YouTube and gaming channel Twitch. Players can take part in a second leaderboard challenge where you receive 100 points for each game streamed. There will also be an additional 150 pints for the most interesting stream each day. Naturally streaming will also provide immeasurable amounts of social media coverage for the event, quite naturally and with no intervention from Microgaming. This shrewd marketing strategy will surely pay off for the event and the company. A strong social media footprint is essential for today’s market and by incentivising the players to take on that responsibility is an incredibly forward thinking strategy. If this social media gamble pays off, it may mean huge things for the MPN and the Universal Champion of Poker title itself. Public awareness of the event is half the battle and since the tournament is so accessible for players, Microgaming may have a future juggernaut on its hands.